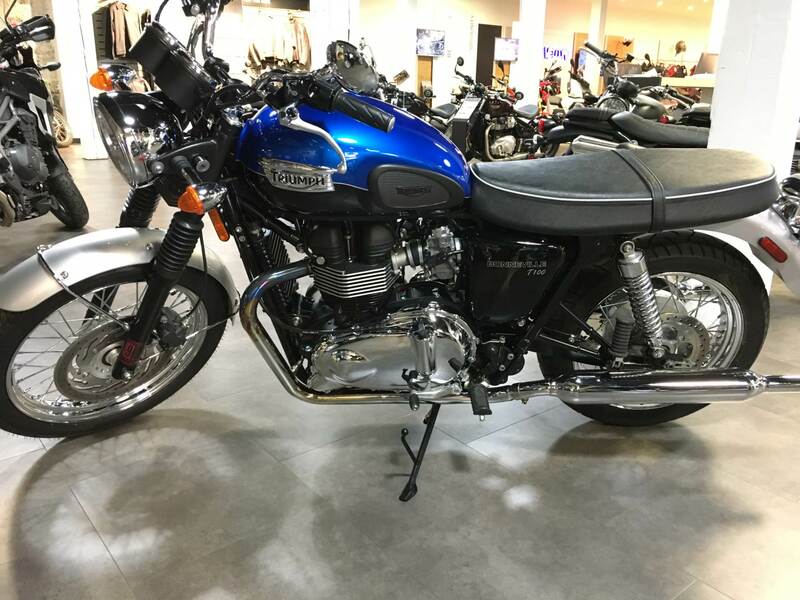 AS NEW Bonneville T100 with 151 miles !! Just serviced - fresh battery and oil. We took the most famous name in motorcycling and gave it some extra 60's style. Still distinctly a Bonneville with its smooth pulling, fuel injected 865 cc parallel-twin. 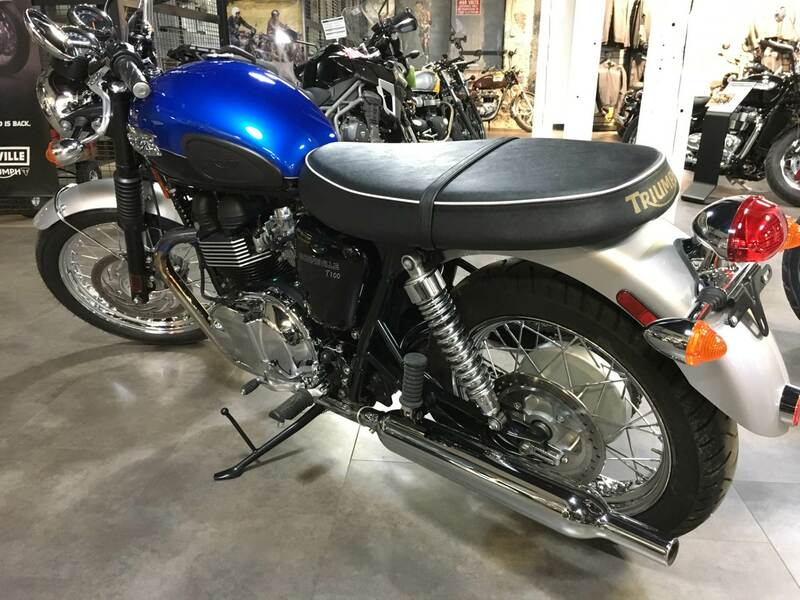 We’ve added some visual tweaks like twin peashooter exhausts, chrome engine covers, black instrument surround with tachometer, a Triumph logo on the seat, two-tone paint, spoked wheels and fork gaiters. So, it still looks, sounds and feels like a proper motorcycle should. And it still connects you to over 50 years of heritage but is built with everything that comes with modern engineering too. Suspension: Looking good whilst working hard isn’t easy. But the 1960’s style twin shocks fitted at the back come with a chrome finish and modern damping internals. As do the traditional-looking forks. And that makes the ride of your Bonneville T100 smooth and controlled, even on bumpy roads and cornering at speed. Handling:	We’ve built a traditional style tubular steel cradle design and included the engine as an integral component for a stiffer, stronger chassis and more precise ride. 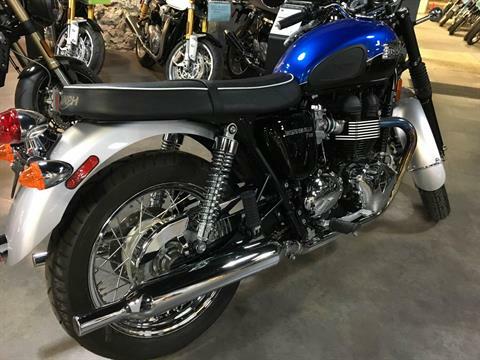 Combining classic looks with modern engineering so that you get iconic Bonneville riding characteristics and modern handling. Seat Height: A seat height of just 775 mm is the best way to get the classic, natural Bonneville riding position. So that’s the height we set it at. 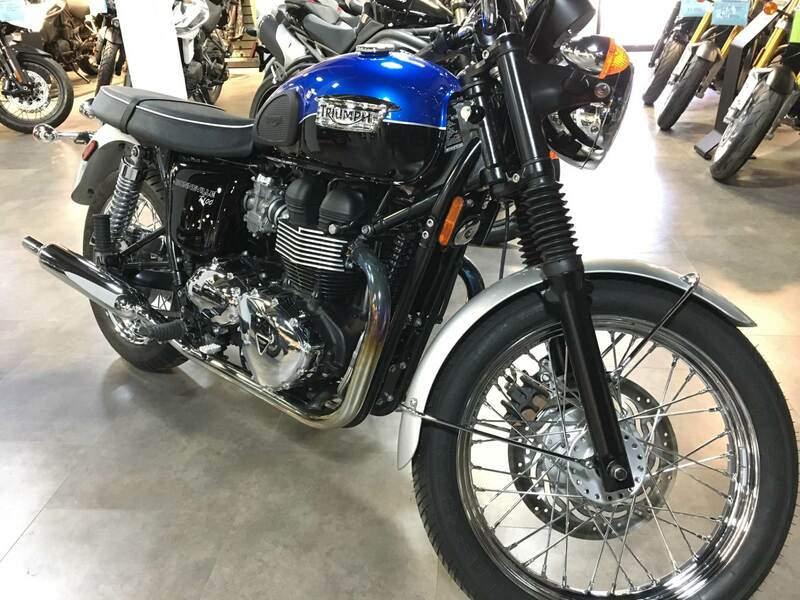 Configuration:	A pair of cylinders still stand upright and proud at the heart of the Bonneville T100. With a wide bore and short stroke that adds up to 865 cc for high levels of efficiency and low wear, with 4 valves per cylinder for the best breathing and power. There are balance shafts tucked away inside the crankcase so you’ll notice very little vibration for a parallel-twin and, being air-cooled, there’s no radiator to spoil the view. 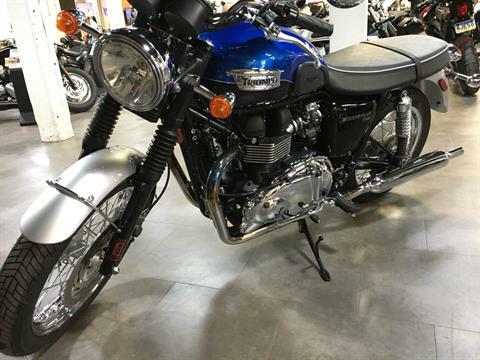 Instruments: For the T100, the matching speedometer and tachometer sit proudly over the chromed headlight and deliver a comprehensive instrument package. Practicality: Behind the classic looks and iconic engine lies a practical and modern all-rounder. 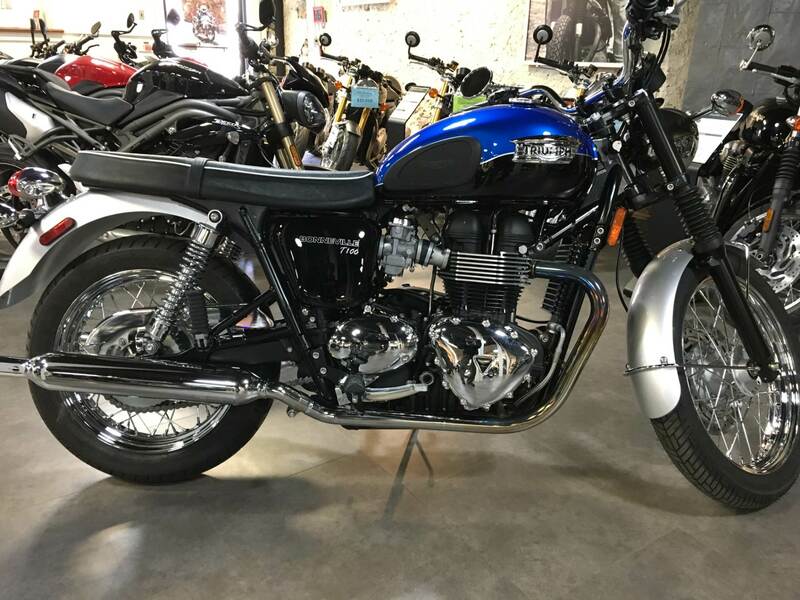 There's nothing temperamental or over-demanding about the engine either, making the Bonneville T100 an ideal daily commuter – all be it an inspiring, stunning, timeless, iconic, famous, daily commuter. Bodywork: 2-tone paint work complete with hand painted coach lines adorn the T100. Engine: The iconic, air-cooled parallel-twin sits proudly at the heart of the Bonneville T100. Setting the style for the entire bike. Exhaust: Twin peashooter exhaust pipes give this bike extra 60’s style. Seat:	Different in style from the standard Bonneville, we’ve created the 60’s look with smooth topped seat with white piping.